24 November 2017, Hyundai's new i30 SR has driven into the record books, becoming the first Korean car to win the coveted Drive Car of the Year award. 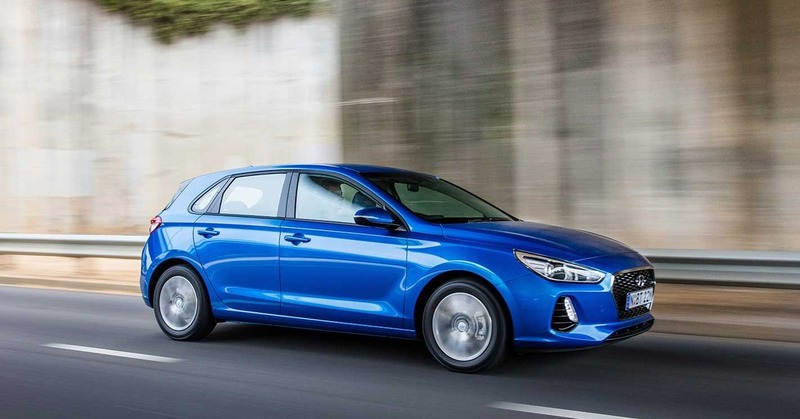 The third generation i30 SR beat-out a string of fancied rivals to claim outright victory in a tough contest. In a week of assessment, Drives six-strong editorial and road test team compared 51 cars across 15 different classes and drove a combined total of more than 20,000 kilometres. In that time the team became enamoured with the i30 SR's stylish design, its impressive dynamics, powerful 150kW turbocharged 1.6-litre engine, seven-speed dual-clutch transmission and Australian-tuned suspension. Judges also praised the cars standard features which include leather trim, autonomous emergency braking, smart cruise control, Apple CarPlay and Android Auto connectivity, satellite navigation and rear-view camera, all at sub $30,000 pricing and with an unlimited kilometre, five-year warranty. Drive editor Andrew Maclean said the third-generation i30 was the most impressive new arrival of 2017, coming to market offering buyers a lot of car at an impressive price point. "It raised the stakes in the small car class and definitely goes above and beyond all the others in its class and those in other classes as well", he said. "Buyers are definitely getting better than they bargained for with i30 and the SR is sensational, with true hot hatch performance at an affordable price. Hyundai's local suspension tuning is also brilliant and simply adds to the car, making it a real stand-out" Andrew Maclean added. Celebrating i30 SR's groundbreaking victory, Hyundai Motor Company Australia Chief Executive Officer, JW Lee, said its choice as Drives Car of the Year is a wonderful achievement for the company. "The team who brought this latest-generation i30 to market knew it was a great car and outright victory in the prestigious Drive Car of the Year award confirms that". "Our new i30 is a car that feels right in any situation and its strong equipment levels, sophisticated design, performance and outstanding chassis dynamics make it excellent value for money", Mr Lee said.